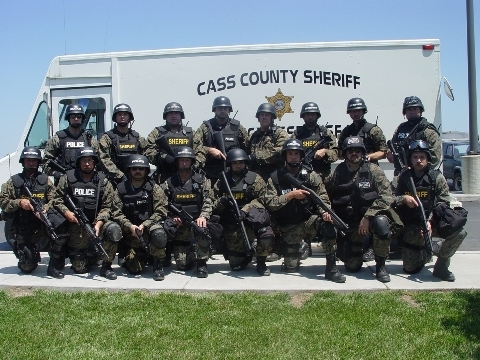 The highly trained Cass County Sheriff's Office Tactical Response Team is used in situations involving hostage taking, armed barricaded subjects, snipers or other situations that present a high degree of danger to life. TAC team members are specially trained in the use of a variety of weapons, anti-sniper tactics, hostage rescues, executive protection and capturing barricaded suspects. To become a member, deputies must pass a rigorous physical fitness test, and have thorough knowledge of department policies and procedures. The TAC Team trains constantly and members cross-train in all assignments to enhance the team's effectiveness.